For children in Chicago's south and west communities, summer can be a time of food insecurity, learning loss, and escalating violence. Families understand the importance of high quality summer learning programs, but for so many, these programs are financially out of reach. The New York Timesreported that more than half of families surveyed said they want their children to participate, but they cannot find affordable programs. This year, in Chicago, programs our families relied on have been cut, and our children are especially vulnerable. Chicago Youth Centers' (CYC) Summer Enrichment Program bridges the summer gap for more than 120 families. At CYC, summer is a season of opportunity. It's when a child learns to swim. It's when that math equation finally clicks. It's when a teen becomes a leader. It's when neighborhood boundaries are broken. It's where possibility lives. In 2015, CYC’s Summer Enrichment Program, hosted at CYC-Elliott Donnelley Youth Center in Bronzeville, served more than 120 children from all six of our Chicago communities. Our goal for 2016 is to double the number of children served. Since 96% of our students receive scholarships for the program, we need your support to reach more children. 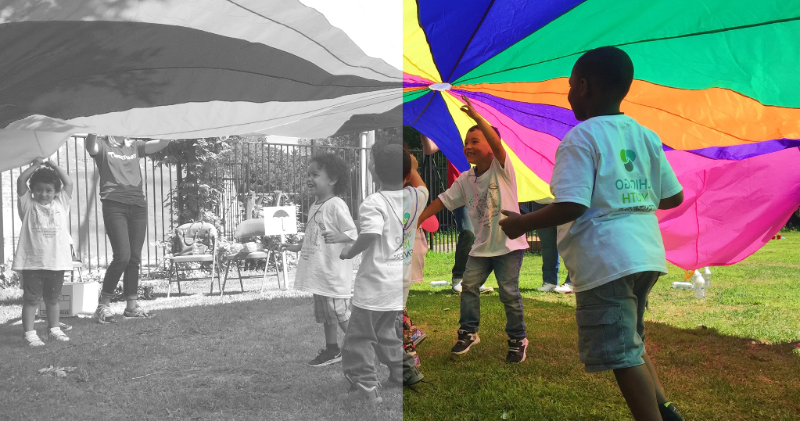 Support CYC’s Summer Enrichment Program today, and ensure that more children will experience a summer full of learning, wellness, and possibility. Your donation directly supports scholarships for new children. Help us reach our goal of doubling the number of children served this summer!